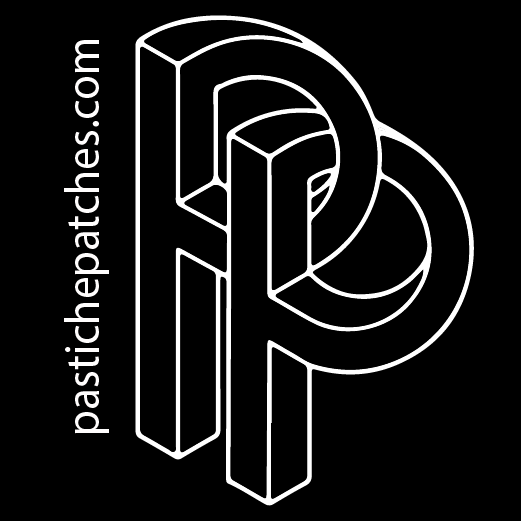 From one spacewatch to another. But this is not just any spacewatch. No, this happens to be the most well-known of them all. The first watch worn on the moon. There’s no doubt that the Omega Speedmaster has its own place in the watch history. If not the most iconic watch it’s at least the second most iconic watch after the Rolex Submariner. The Speedmaster have been around since 1957 and is still in production today with its classic look but there’s been tons and tons of various limited editions throughout the years. To me, this kind of super popular watch is not my thing. It’s just too common which makes it boring. Just like I grew tired of the Submariner I knew that a Speedmaster would eventually bore me just as much and also, even though the Speedmaster have been put through many tests that apparently qualified it for trips to space, I don’t consider it to be a toolwatch. And if it’s not a toolwatch, it’s not for me. So how did I end up with this one? 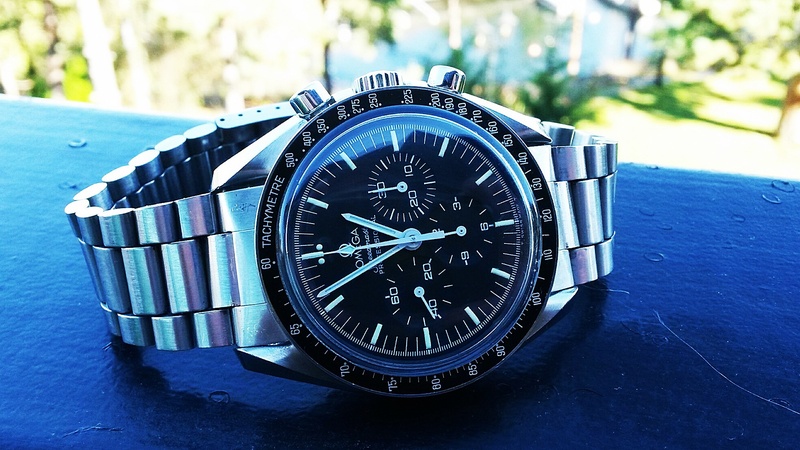 #262 - The Omega Speedmaster from 1984, ref. 145.022. It all began with my friend Sebastian who started to look for a watch from his birth year and since we were born the same year, 1984, I automatically kept an eye out for him since I’m always on the lookout myself. I came across this Speedmaster and it was perfect for Sebastian so I got it for him. At this point I wasn’t nearly interested myself but a couple of years later when Sebastian asked me if I could help him to sell it I suddenly felt that the time was right to figure out what the Speedmaster was all about so I simply bought it myself. Out in the park with my son. I got it just as I went on my first parental leave in August 2015 and tried to wear it as much as I could. I really started to appreciate the look of it and I loved its presence on the wrist. It looked fantastic on the vintage 1171 bracelet compared to that new design of the bracelet I was used to see the Speedmaster being worn on all the time. But it was far from an ideal watch when playing in sand, mud or water the whole day. This watch first ended up with my dad because he had always wanted to try one but he quickly went back to his Submariner and the watch was eventually sold. Conclusion. The Speedmaster is a great looking watch with a lot of significant history in the world of watches. Some consider it to be a toolwatch. I don’t. Anyhow, it was important for me to put this watch into my reference archive because of its great historical value. There are a couple of watches you simply have to go through if you’re a watch enthusiast and the Speedmaster is definitely one of them. Will I buy one again? Probably not.